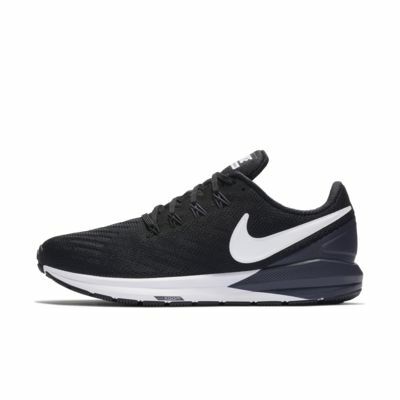 The Nike Air Zoom Structure 22 Women&apos;s Running Shoe looks fast and feels secure. Engineered mesh, a heel overlay and dynamic support throughout the midfoot all work together to provide a smooth, stable ride. The Zoom 21's fit perfectly and I owned several pairs. These Zoom 22's have such a shallow heel area that I can nearly walk right out of them, even when I tie them tightly. I'm a young adult with plantar fasciitis, and these shoes have very comfortable cushioning and support. I wear them on the treadmill, as well as around town. The mesh upper allows them to be breathable, although it also makes them harder to clean, as I got them in a light-pink color. 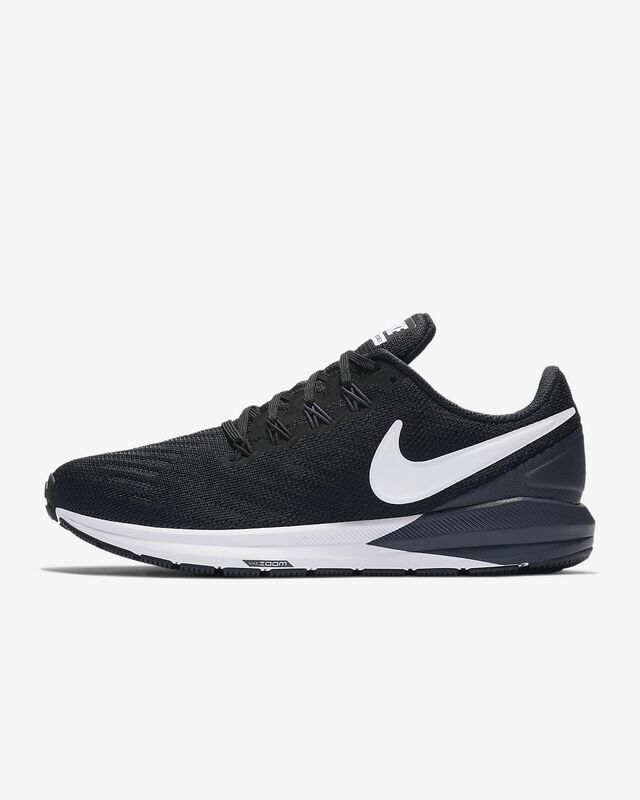 I was afraid of the flywires giving me hotspots since other Nikes I've tried usually have one flywire dig into the side of my foot at the ball. However, I don't have that issue with these Structure 22s. I wear a size 12, and lately, Nike's size 12 has been more snug than in in past years, which means I can't wear them since 12 is as large as they come. The Structure 22 feels true to size, and I'm so pleased with them that I plan on purchasing a second pair in black so that I can wear them around town without worrying about them showing grime on the mesh toe box. Bought these for my wife, this will be her 3rd pair of Zoom Structures. She uses them to work out in as well as everyday stuff. She is a nurse and on her feet all day, she has a pair she uses for work also. Quality and durability is excellent, the support and cushion is what she really likes in this shoe.